How cool is this? You are waiting for your morning train (subway) to get to work when you remember you finished all the milk with your cereal this morning. What are you going to do about it now? 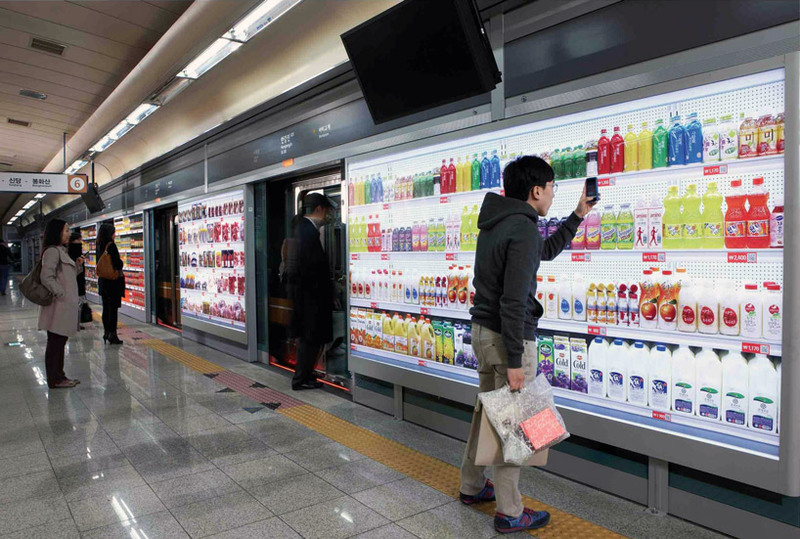 Well, if you live in South Korea you might just walk over to a seriers of giant bill boards that look just like grocery shelves and do some quick shopping. You scan a few QR codes (like square bar codes) with your phone, place your order online and it will be delivered after you get home from work. An outfit called Home Plus has put this together and are using it to outflank their larger rival. It is one of the few inovative ideas I have seen in the online grocery space. Very cool. To see a video, click on the picture.